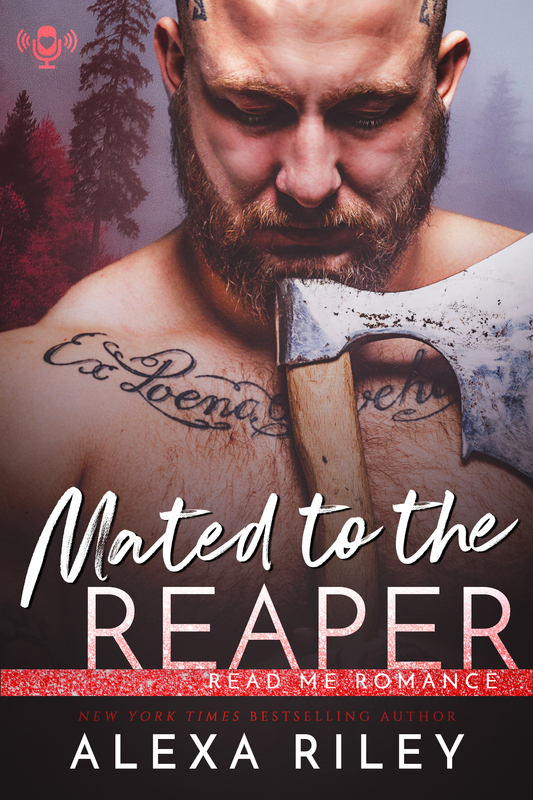 Our audiobook this week is Mated to the Reaper by Alexa Riley! Ariella Sterling was raised by a coven of vampires, but she was different than the rest of them. She was a miracle from the time she was born, and her parents worried about her safety. She was protected and cherished like no other because of her abilities, but something has changed since her eighteenth birthday. There’s a pain growing inside her and she doesn’t think she’s going to make it much longer. When the Grim Reaper walks in everything changes and now she’s got to fight for what’s hers. Grim Reaper has spent years alone carrying out what he’s destined to do. But when he’s called to take another immortal soul, he realizes this one is different. From the moment he sees Ariella, he knows she’s his mate, but her family steps in and tries to keep them apart. They can do what they want, but there’s no stopping Death, and he’s going to fight for what’s his. Warning: Does this all seem crazy to you? Well, that’s because it is! The Grim Reaper is here to fall in love and we’re supporting it one hundred percent! Sit back and enjoy their story without all the little details that don’t matter. It’s steamy good fun and we hope you love it, just like we do.